When a journalist is killed, Five-0 must use his past reporting to hunt down a presumed dead Congolese warlord who is alive and well living on Oahu. Also, as Valentine's Day approaches, Danny overreacts when Grace's texts to a boy start accidently coming up on his cell phone, on HAWAII FIVE-0, Friday, Feb. 13 (9:00-10:00 PM, ET/PT), on the CBS Television Network. 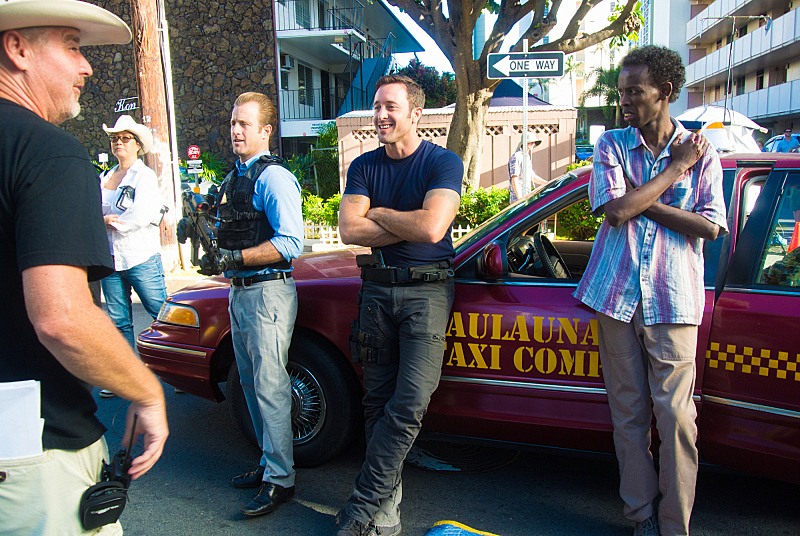 Pictured (L-R) Scott Caan as Danny "Danno" Williams, Alex O'Loughlin as Steve McGarrett and Barkhad Adbi as the Congolese warlord.